So, you got a Sephora gift card burning a hole in your pocket. You decide it’s time for a little “me time” and escape your family for just a few moments of retail therapy, whether that’s leaving the house or putting on pajamas and sitting down at your computer with a snack. You are overwhelmed by all of the choices at Sephora and you just want to look pretty, and you wish you had someone just to tell you what to buy. What are the best Sephora beauty products? Oh, hey. That’s why I’m here. I get this question all the time “What should I buy at Sephora today?” I don’t mind answering it one bit. All of your beauty aficionados probably have quite a few things on this list already, but if you don’t – get on it. 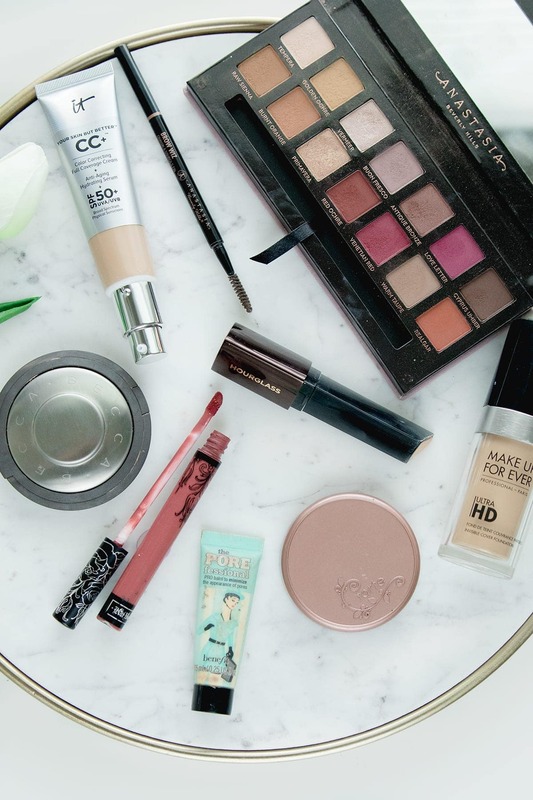 I’m dishing on the 10 best Sephora beauty products worth every penny. You want these things in your life. Make Up For Ever Ultra HD Foundation // If you’ve been around a while, you probably know that this is my ride or die foundation. I know that if I wear it, my skin is going to look amazing and it is going to photograph beautifully. Hourglass Vanish Seamless Foundation Stick // This is a relatively new favorite I just keep coming back to. I can’t quit it! It’s full coverage but extremely lightweight, and it’s buildable. It has the most amazing natural finish that looks like skin. I love it! It Cosmetics Your Skin but Better CC+ Cream // This is a cult favorite CC cream, and I am one of those raving fans. It’s got amazing coverage, but definitely appropriate for those days where all you want to do is slap something on your face and run out the door. On the flip side, you can totally wear it full glam. I can’t say enough good things about it! Becca x Jaclyn Hill Shimmering Skin Perfector in Champagne Pop // If you were to get one highlighter, I would suggest this one. It’s universally flattering, and can be worn extremely intense or toned down. Tarte Amazonian Clay 12-Hour Blush // Is it just me, or is blush the first thing to fade off your face during the day? These Tarte blushes are so amazing, and the shade Exposed is probably my favorite. They apply beautifully, and they’re the longest lasting blush I’ve ever owned. Anastasia Beverly Hills Modern Renaissance Palette // This is the most unique eyeshadow palette I’ve ever owned. It’s quite frightening at first, because it seems like those pinks and reds won’t be wearable, but they totally are! They look amazing blended out in the crease. If you’re looking to up your eyeshadow game and are tired of neutral palettes, you will absolutely adore this palette. Kat Von D Shade + Light Contour Palette // I use this contour palette every single day, and I haven’t found anything that even comes close. Trust. Anastasia Beverly Hills Brow Wiz // How many times have I mentioned this eyebrow pencil on my blog? Probably about 1,564 times. It’s the best, can’t live a day without it. 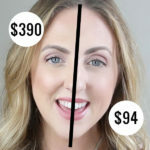 If you’re on a budget and need an affordable alternative, check out my Anastasia Brow Wiz Dupe blog post for an option! Benefit The POREfessional Primer // I haven’t found a pore filling primer that I love more than this one. It does an incredible job of smoothing out the areas on my nose and cheeks (I only use it there, and not around the whole face), and my makeup lasts longer. Kat Von D Everlasting Liquid Lipstick // I have also mentioned these lipsticks quite a bit. They’re just my favorite liquid lipstick formula and I always get a compliment when I wear one. They’re comfortable and not drying or crumbly on me at all. My favorite shades are Double Dare and Lovesick. What are your best Sephora beauty products? You know I need to know these things. Be sure to check out the rest of the Beauty section before you go! Well now I want to go buy all of these! Please make a video tutorial with them! These products look so great! I need to make a trip to Sephora! Haha yes girl!!! Thank you for your sweet comment!! Love the It CC cream so much- it’s my go to for all occasions. Porefessional is awesome too! Will have to give some of your other favs a try. I cant stand Kat Von D liquid lipstick. It is so drying and rubs off way too quickly. I bought it because the worker recommended it to me after I asked about a long lasting lip color. I have since tried the Smashbox Always On liquid lipstick and it literally lasts all day and is not near as drying. I will use up the Kat Von D, because I hate waste, but will not buy it again. I know a lot of people don’t love the formula, but I do love it!! I need to try the Smashbox one!